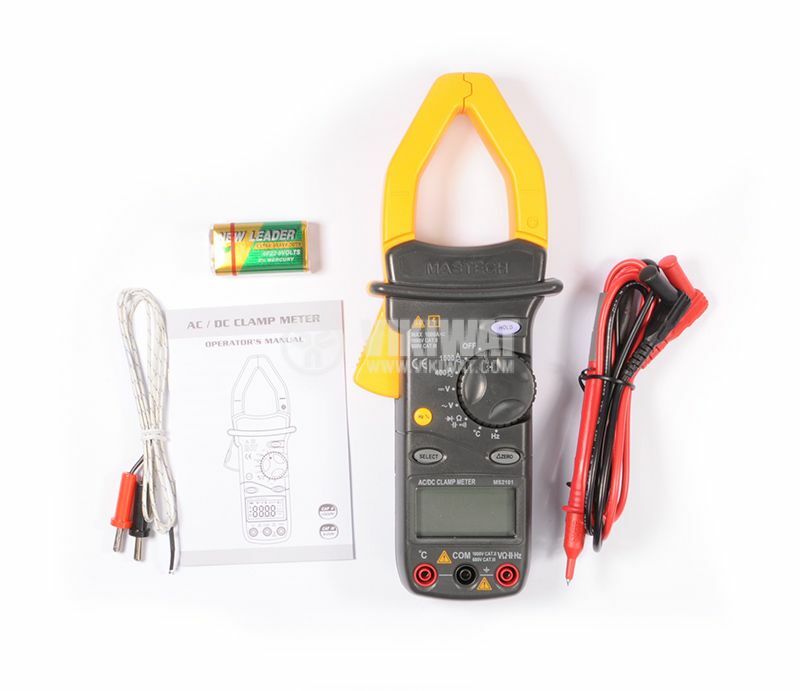 Current clamp MS2101. 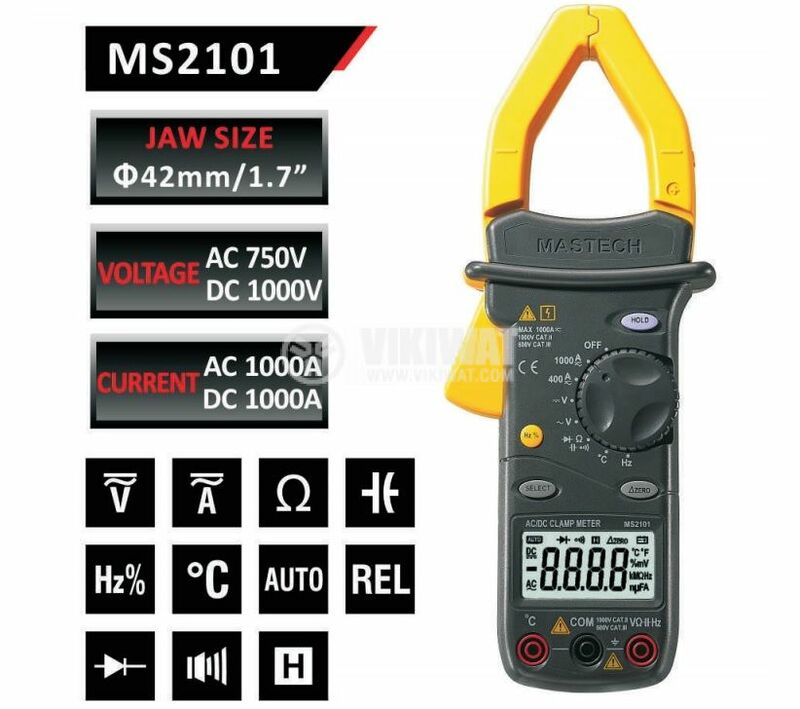 Max 1000Aac / 1000Adc. 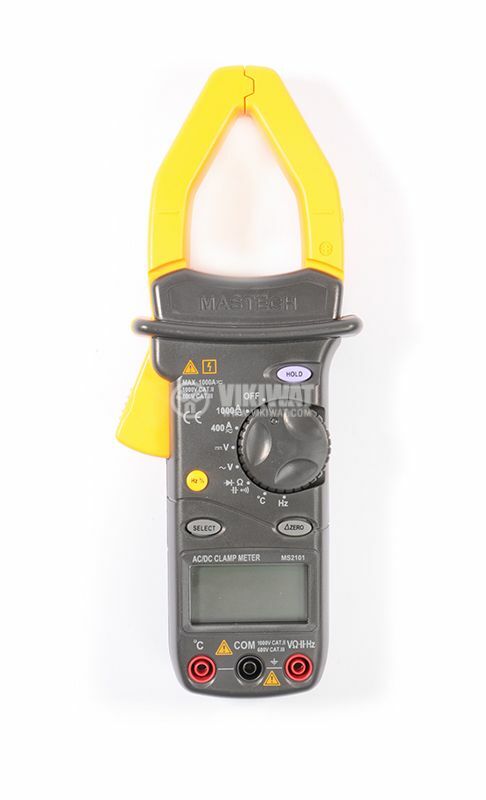 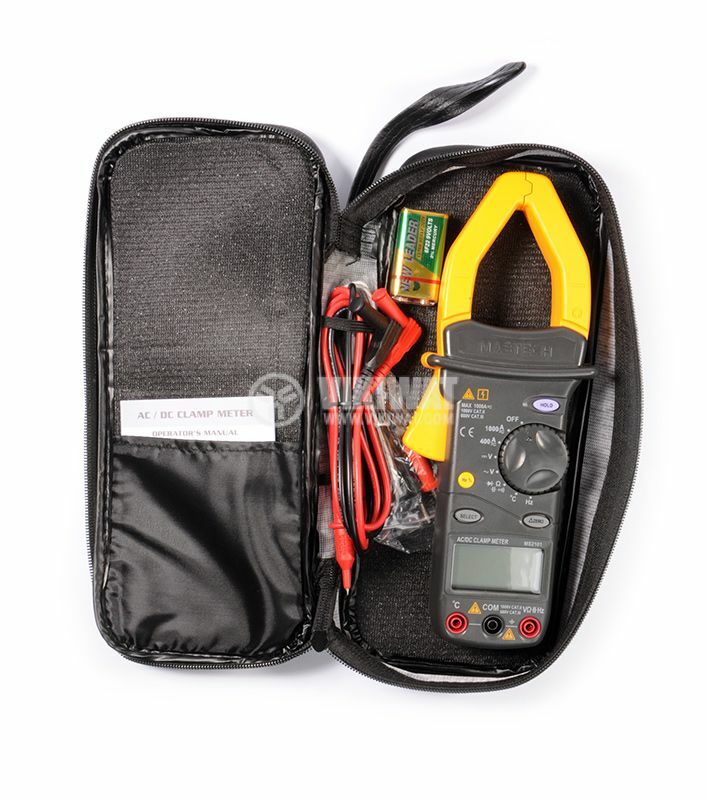 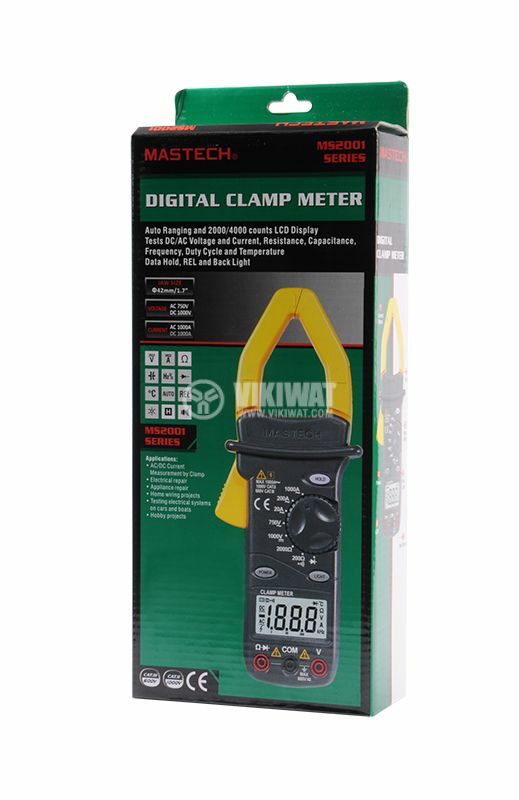 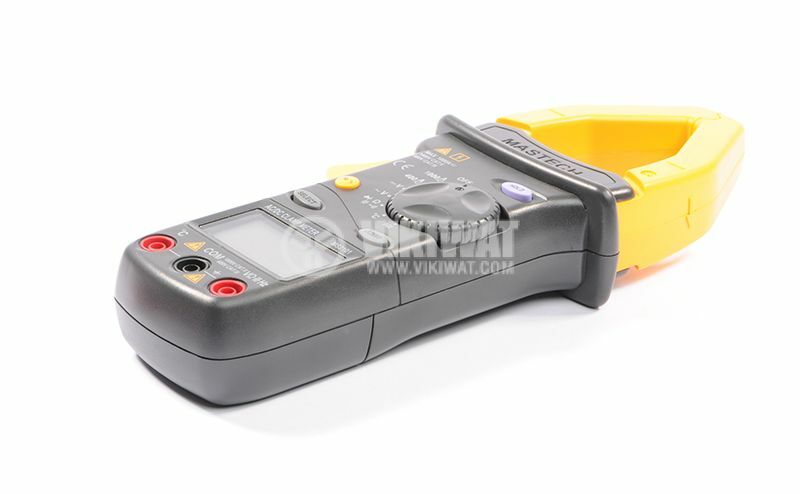 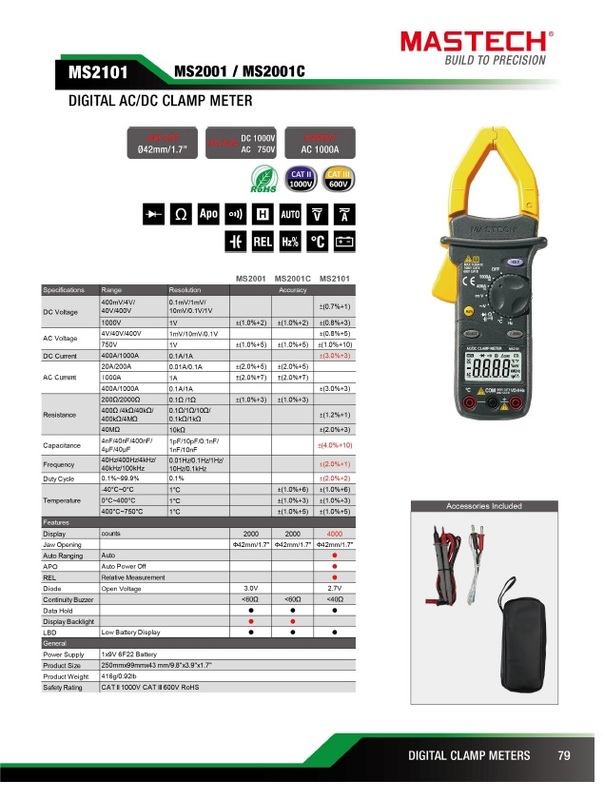 Current clamp meter allows properties of the electric current in the conductor to be measured, without having to make physical contact with it, or to disconnect it for insertion through the probe. 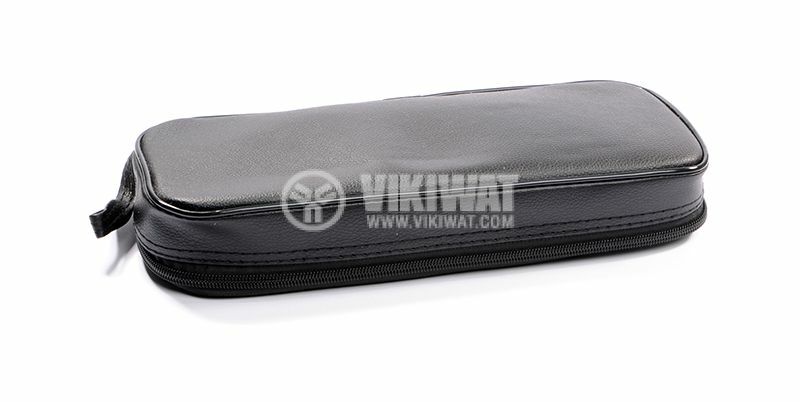 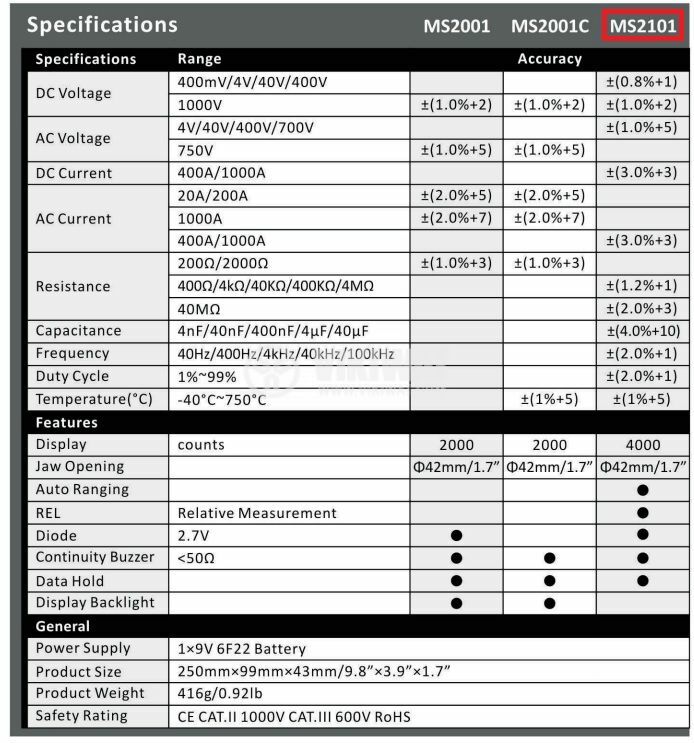 temperature - from -40 to 750 ° C.
power supply - battery 9V (6F22).